If the cold weather has you feeling dreary, give the front of your store a pick-me-up with a new dimensional sign. 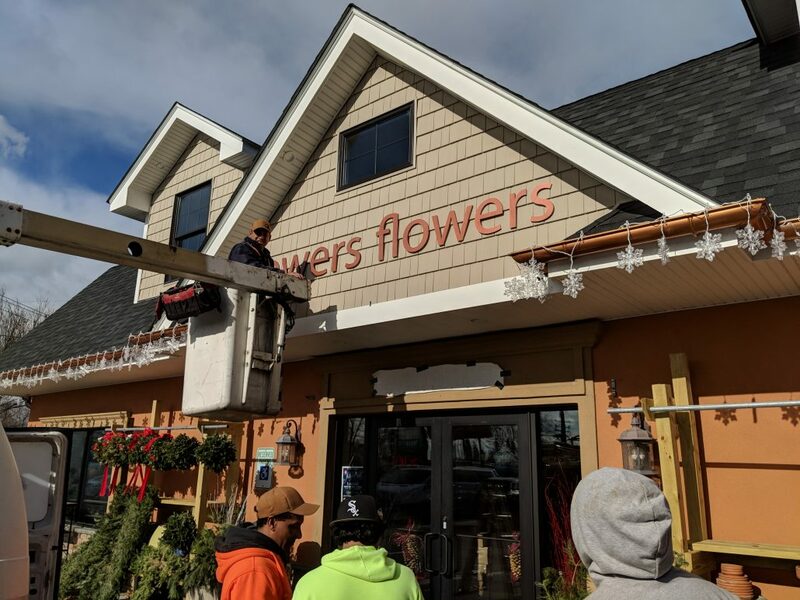 Our team helped popular florist retailer Towers Flowers at 235 Higbie Lane, West Islip, to update their storefront with a new dimensional sign with new metal lettersets. We installed four lettersets, as well as window graphics and updated graphics to a street-facing light box. 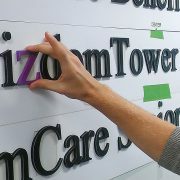 Our high quality acrylic letters make each sign eye-catching and long-lasting. Our metallic acrylic has a chic gleam that would spruce up the front of any business. Upgraded signage will keep your storefront fresh. When customers are shopping around, they will notice your business with a sign that stands out. Refreshing your store’s look can boost sales and make your business stand out. A new building sign can draw the attention of both pedestrians and car passengers to reach the maximum audience. 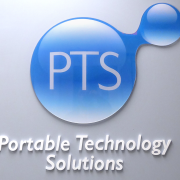 People want to support businesses that look professional and updated. Signwave delivers professional installation with a talented crew. 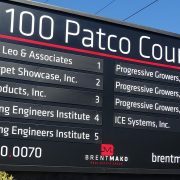 When our team installs a new sign on the front of your business, you can be certain it will draw attention to your store for many long years. 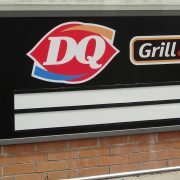 Signwave produces custom work that will fit your precise signage needs. Our talented designers will help you create a beautiful custom sign that will attract the most business during the holidays this year.